Sennheiser headphones are renowned for their stylish looks and great sound quality. 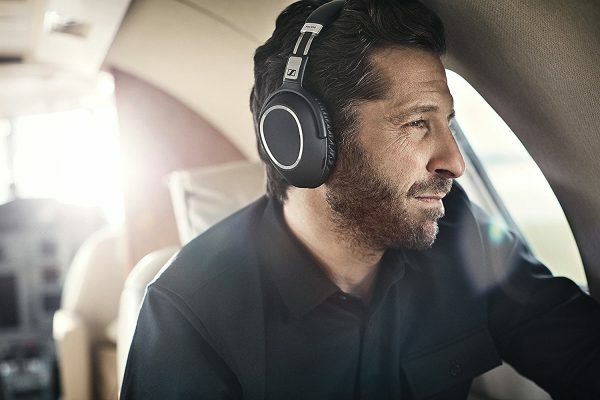 The Sennheiser PXC550 headphones offer adaptive noise cancellation in a wireless package. With Bluetooth technology, NFC pairing and ear-cup touch control, these are the ultimate device for travellers and audiophiles alike. One of the first things you notice about these headphones is just how light these are. They look big, they feel big, and yet at 227g, they are one of the lighter options available. A soft touch leather-feel headband connects the two ear-cups. The ear-cups dominate the design. While the left one has a built in NFC tag, the right one holds all the business end. The right earcup holds a touch-mount control, allowing users to accept/reject calls, play/pause music, and use other controls. The right earcup also features a whole suite of controls/LEDs. The headphones have an interesting twist on/off mechanism. As soon as you twist them in their traditional position, they turn on. If you twist them so they can go in the case, they turn off. First time usage requires pairing, which is a standard and reasonably painless process. Once paired, they just pair every time you turn them on. After that, you can adjust your noise cancelling or effect mode, but generally, they pretty much ‘just work’. The volume/call/music control takes a little getting used to, but being fairly intuitive, it works brilliantly well too. While I wasn’t able to jump on a plane to test these, a good test in my mind was to wear these while using the lawn mower. They are loud annoying devices with a reasonably similar hum to that of a plane or a train. So, I put these on, plugged them in, and off I went. 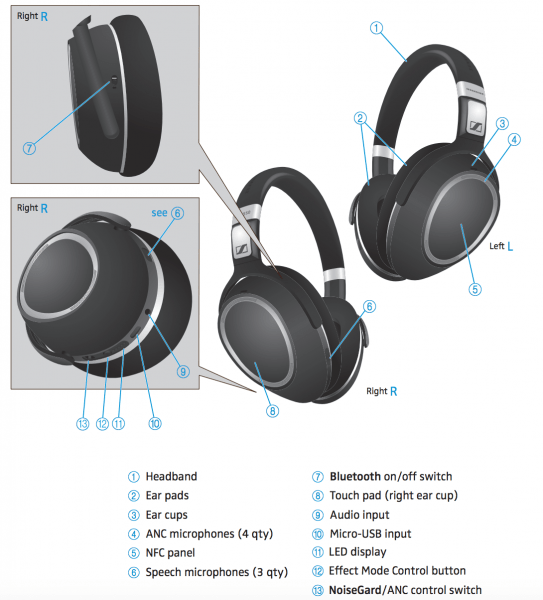 Since these are over-ear headphones, there is a small amount of noise isolation already built into the design. Then you turn on the noise cancelling and suddenly the hum goes right down. The Adaptive Noise Cancelling Technology on offer also means that as things get louder around you, the noise doesn’t. This is particularly clever for when you are on the road as different road surfaces can have different sound levels. I also tried this at work, where we have various machines and pumps and such like running in our labs. Once again, the device proved to be very handy in keeping things perfectly calm and peaceful. One advantage of a set of cans that cuts out noise is that you can really listen to the music. The Sennheiser PXC550 headphones really stood out in the sound test. I was particularly impressed at how well they were able to provide detail and clarity in sound. Classical music sounded great, as did the usual pop/rock classics. This makes these a very attractive set. Not only are they light and portable, they offer amazing noise cancelling and a very good sound quality. Really, there is absolutely nothing to complain at all. Noise cancelling headphones rely on some kind of power to provide the noise cancelling. Different sets have traditionally used batteries, while nowadays you get headphones that charge like mobiles. 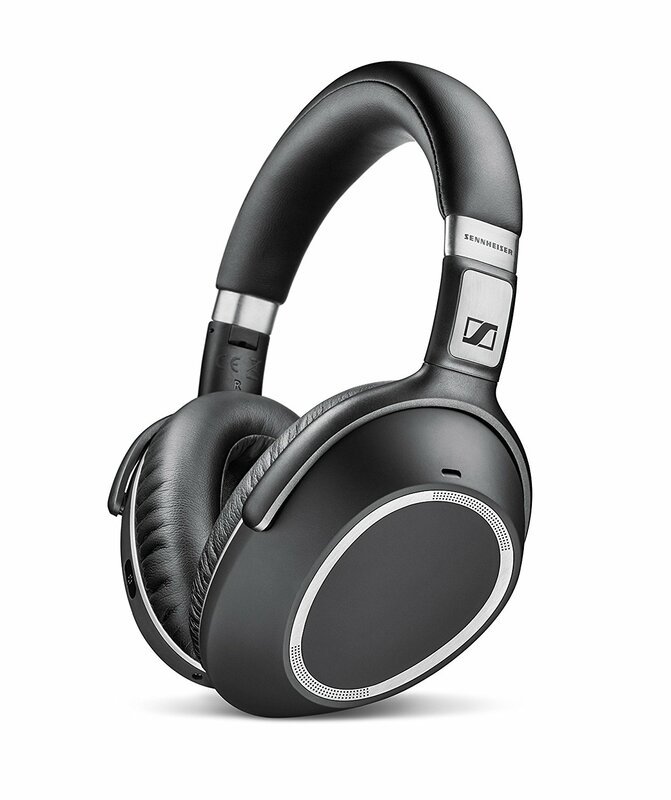 The Sennheiser PXC550 headphones charge via micro-USB within 3 hours and give around 30 hours of battery life. Our tests found that it delivered well on this front. This means that you can easily carry these through on a few flights or even a weekend. Being micro-USB also means that there is a good chance you are able to charge these pretty much anywhere you want. Being big means that these are probably not the kind of headphones you’ll want to run in. However, these are light and offer a snug fit around your head. They may not look like running cans, but you can definitely give them a go. They are definitely perfect headphones when you are commuting or on the go! More information on the Sennheiser PXC550 headphones can be found on their website. They retail from around £320 and can be bought via various online retailers such as Amazon. If you are the kind of person who faces commuting or noisy environments, these are an absolute godsend. Amazing sound quality and a really light build make these even more attractive.